Even as President Trump occasionally mocks the science underpinning global warming, the trend lines show an undeniable and intensifying climate change. Researchers are studying melting glaciers in Antarctica and the Himalayas; environmental changes in these two regions will drastically impact the planet. By the time the international community mobilizes to address the threat, it may be too late, with cascading effects destabilizing vulnerable populations. Climate change has and will continue to lead to other challenges—social, economic, and national-security—yet American political leadership on the issue is mostly absent. January 2019 was the hottest month on record for Australia. Across the country, average temperatures exceeded 30 Celsius (86 Fahrenheit). Adelaide set an all-time high of 49.5 Celsius (121.1 Fahrenheit). This follows 2018, which was the third hottest year in Australia’s recorded history, with 2017 coming in as the fourth. The persistent heat wave is now giving way to massive rains and flooding in Australia’s northeast. At the same time, there was a brief, but severe, cold snap in the central and eastern U.S. 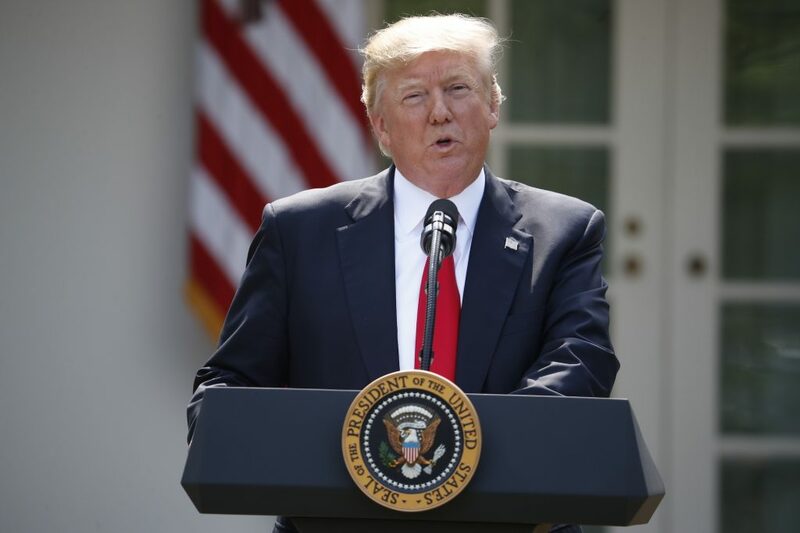 The weather was greeted with tweets by President Trump mocking the notion of global warming and suggesting that climate change is a manufactured concept, rather than a real and deepening crisis backed by the lion’s share of scientists. Even if the President doubts the science underpinning climate change, 59% of Americans report that climate change is currently affecting their local community, according to a Pew Research Center survey from 2018. In late January, the United Nations’ chief scientist on weather and climate warned of ‘a multitude of security impacts’ related to climate change. In the first week of February, researchers in the Arctic announced a massive hole in a thawing glacier in Antarctica. The ‘Thwaites Glacier’ is the size of the state of Florida and scientists said that much of the large cavity appears to have melted in the last three years. If the Thwaites Glacier were to melt completely, it would raise global ocean levels by more than 65 centimeters (2 feet). Around Norfolk, Virginia, one of the U.S. Navy’s most important installations, sea levels have risen at twice the global average; there are 18 military installations in the Norfolk/Hampton Roads area. On the other side of the globe, in the Himalayas, scientists are discovering that, as in the polar regions, the area is melting at an alarming rate. The prospects of floods and persistent drought in densely populated regions is staggering, posing severe human security concerns. Rising temperatures are predicted to melt perhaps one-third of the glaciers in the Hindu Kush Himalayan region. By embarking on a Global War on Terror, the United States and its allies spent billions of dollars to construct a global counter-terror regime aimed at combating the threat of political violence and extremism. Billions more are spent on missile defense and maintaining a transatlantic military alliance. But making lasting and sustained progress on climate change, both in terms of the political leadership necessary and the commitment to allocate sufficient resources to the problem, has been far more elusive. Some of the countries expected to be hit hardest by climate-related challenges are also the least equipped to deal with the problem. By the time the international community mobilizes to address the threat comprehensively, it may be too late, with cascading effects destabilizing vulnerable communities, especially those that lack the infrastructure to blunt the most devastating consequences. There is a clear link between climate change and national security; as climate change continues to be a catalyst for resources shortages, the likelihood of both inter-state and intra-state conflict will spike. The intelligence community and the Department of Defense regularly include threat assessments related to climate change in their respective analytic products. Recent testimony by the Director of National Intelligence noted that ‘global environmental and ecological degradation, as well as climate change, are likely to fuel competition for resources, economic distress, and social discontent through 2019 and beyond.’ The report also went on to state that ‘climate hazards…are intensifying.’ The U.S. military routinely responds to natural disasters by conducting humanitarian assistance and disaster relief operations, which could become far more frequent in the coming years, especially in some of the most vulnerable parts of the Asia-Pacific region. Thus, while the military is aware of the importance of forward-looking plans to respond to climate-related events, there is no political will to address these issues by the Trump administration. 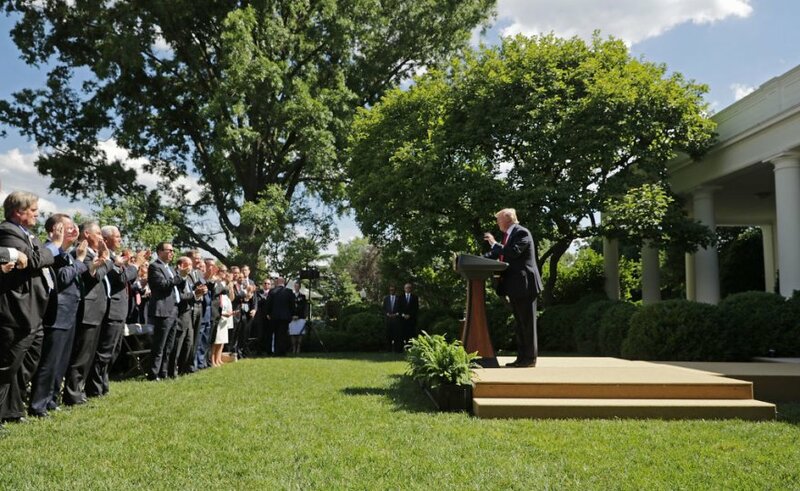 By withdrawing from the 2015 Paris climate agreement, Washington publicly abdicated leadership on perhaps the most vexing global challenge. Responding effectively to climate change requires multilateral cooperation and a commitment to agreed-upon objectives. Without active American participation in stemming the fallout associated with global climate change, the prospects of successfully mitigating its devastating effects are significantly reduced. 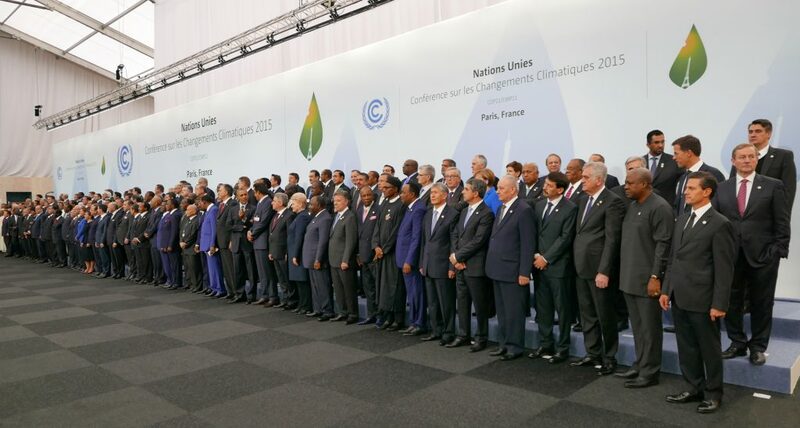 Network Take: Does Climate Deal Pullout Affect National Security?